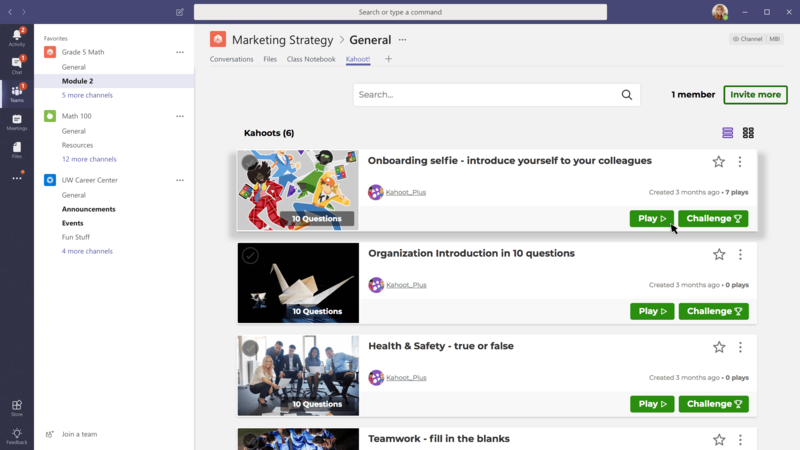 Working with the project manager and client, Kahoot! — the game based learning platform, I created screens in Sketch for a pitch deck and eventual redlining. 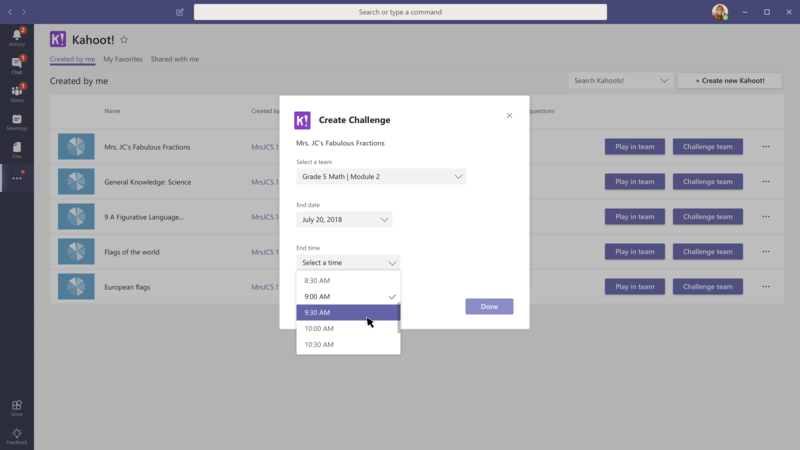 This process included experimenting with user flows and layouts while integrating them into the existing Microsoft Teams standards. 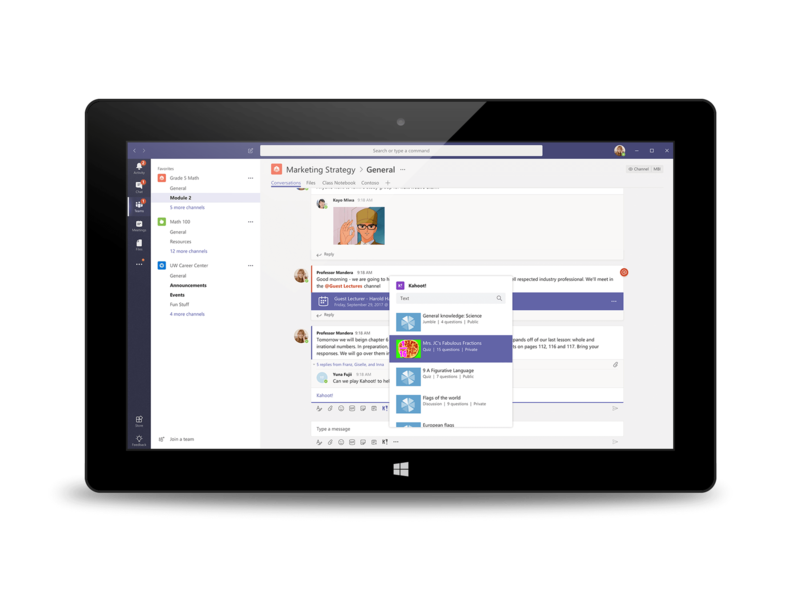 Microsoft Teams is a collaborative tool allowing subscribers to host video calls and chat, share files, work across different platforms and can intergrate with other Office 365 apps on both desktop and mobile. One of its greatest strengths is the constant introduction of new 3rd party apps. In this way Teams can always remain comteptative and relevant to the market place. Kahoot! is a game based learning platform that allows for seamless connection from mobile device. 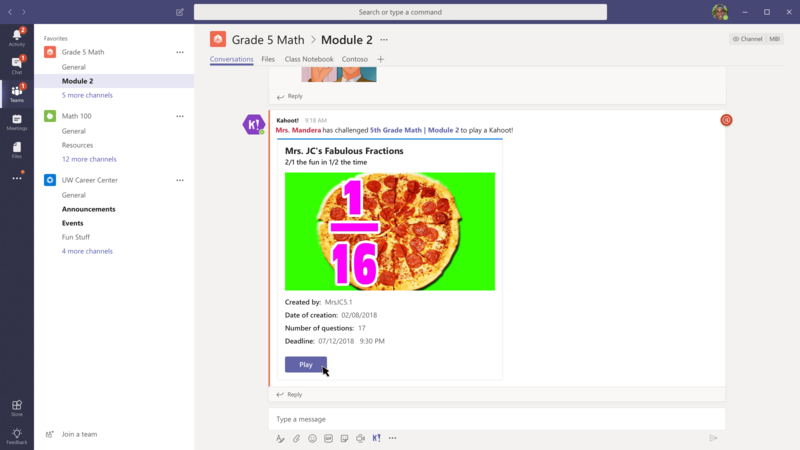 A teacher or moderator creates a series of questions and enters possbile answers. The questions are the displayed one-at-a-time on a screen and the students or players answer by remotely tapping on their mobile device. The results are immediatley displayed on screen until the winner has been announced. 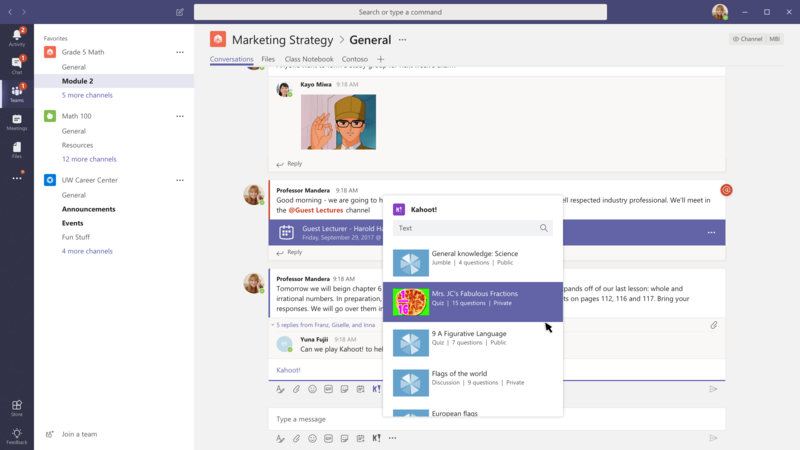 I was brought on bored to experiment with user flows and ensure feasibilty and adherance to established Microsoft teams standards. The final screens demonstrated to the client multiple scenarios including accessing the Kahoot! app via chat, an iframe, and bot.